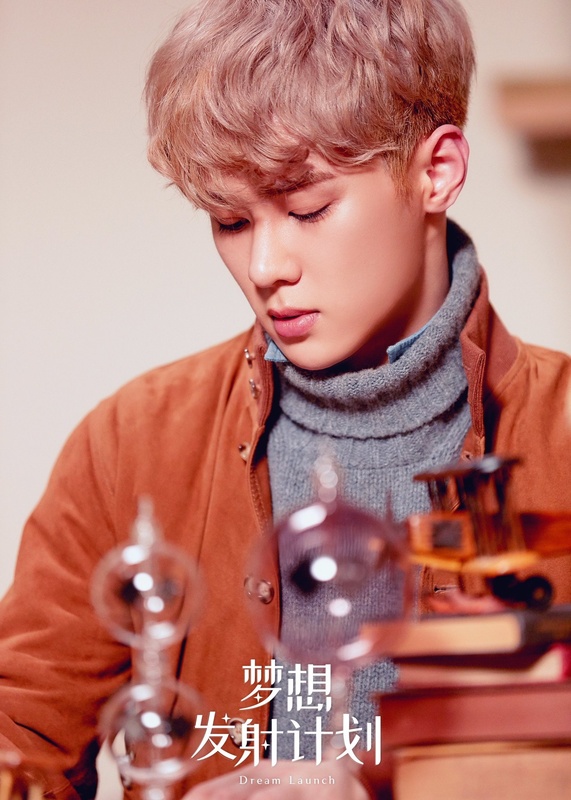 Show More Kun Fun Facts…..
-Ten has a sister that’s 3 years younger then him, named Tern Kulisara Leechaiyapornkul who’s a designer. Show More Ten Fun Facts…. -His father is Chinese and his mother is Thai. Note 2: The current positions are only possible positions. 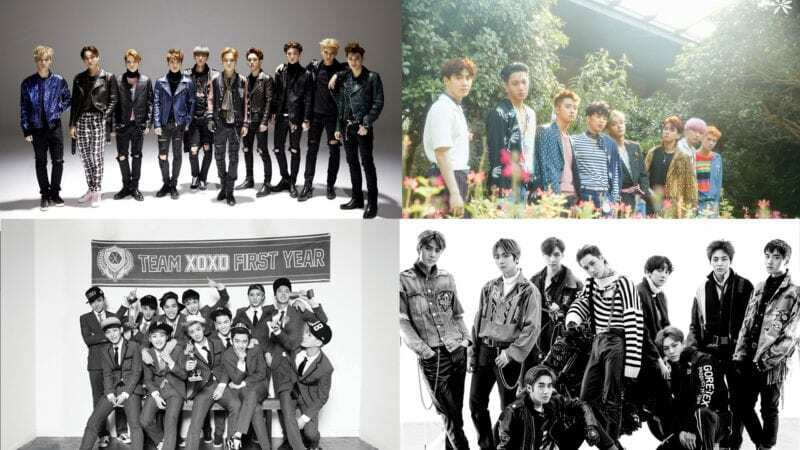 These temporary positions were added based on our members’ request. We will update the positions once we get the official positions released. Note 3: So people don’t get confused. There are two writing systems in Chinese. SC means Simplified Chinese and TC means Traditional Chinese. WinWin and Xiao Jun’s Chinese characters are the same in SC and TC. They are all precious and need to be protected at all times. Ten is still a part of nct u. Why is it in past tense? This is my first time ever exploding into excitement after having new members join NCT and imagine what I will be like when NCT has MORE new members join. P.S: I am relieved that Mark isn’t in WayV because the baby can’t handle all of this work. 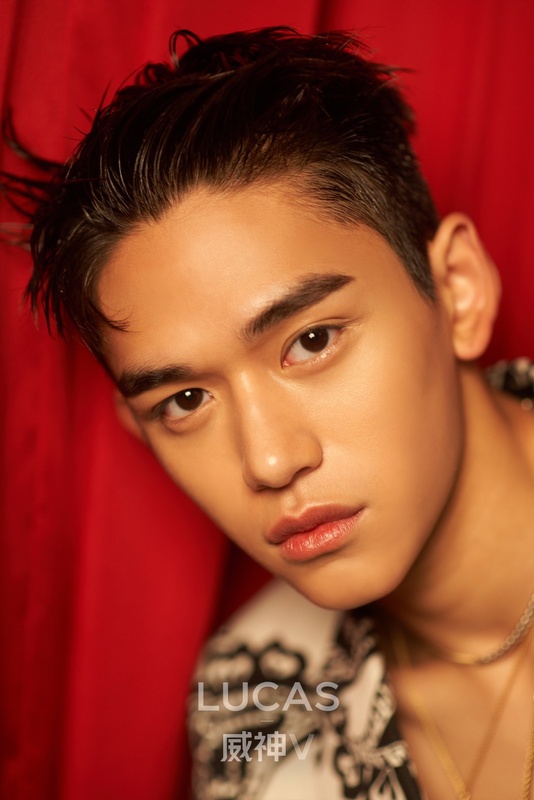 I say that because if you are new to NCT, SM put the kid in ALL units and we weren’t going to be surprised if he was put in WayV. NCT U isn’t an fix unit, the member of unit depend of concept. where did you find that he has 3 sisters, what’s the source? wow, kun is last in the bias vote when he coming for our throats in this unit? k, jan.
Also Kun is a vocalist (probably main vocal), Xiaojun is also a vocalist (lead probably), Ten and WinWin are dancers and Lucas is the lead rapper and maybe the center… The visual is either WinWin or Lucas. Idk about Hendery. But since we don’t have the official positions until they debut I think maybe it’s better wait (?). 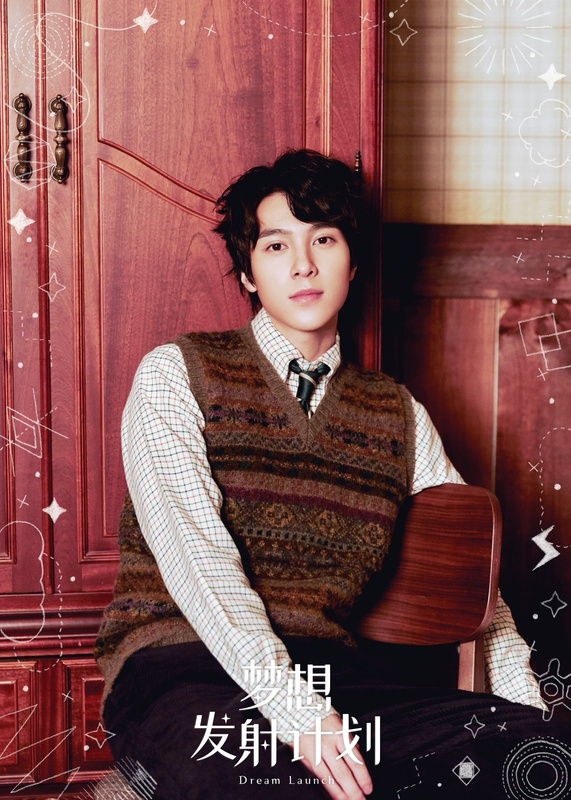 Pictures of Hendery and his sisters and their instagrams supporting him. Why are Renjun and Chenle not in this unit? And Yang Yang is the same age as Haechan, so does he have to join NCT Dream? Xiao Jun, Hendery & Yang Yang just debut in WayV right? Even this is NCT China-line but they’re not officially NCT members. 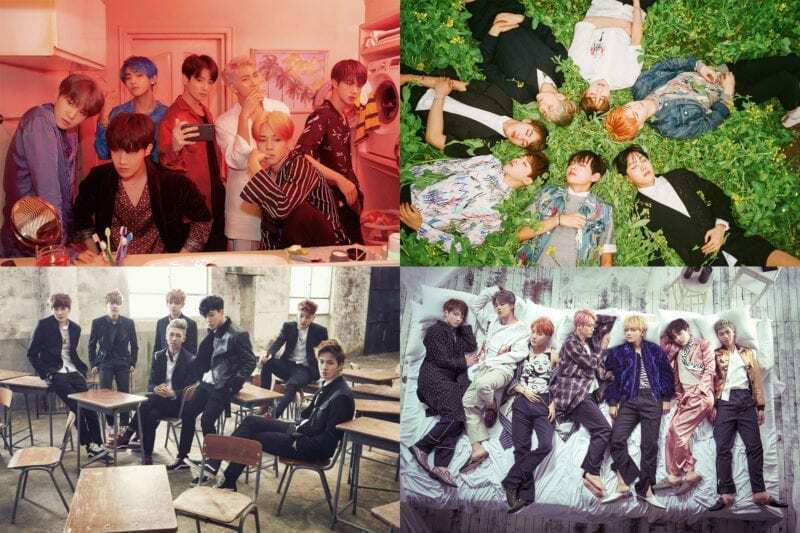 They will promote in China only not Korea even they under SM. But I just felt weird when I heard they want to debut it with SMROOKIES & Ten. Wasn’t Ten Thailand?? Yang Yang and XiaoJun are the visuals!! imo the visuals would be xiaojun, winwin, and lucas. Xiaojun’s favourite number is 8? MINE TOO! i know this means something .. i’ll love him for sure. Also if y’all haven’t seen he’s a crackhead and probably a dancer. 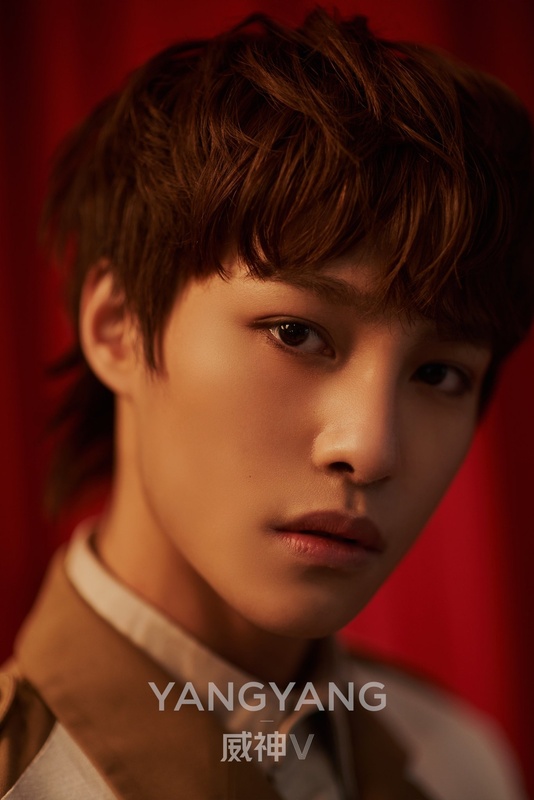 Also, Yangyang is 00 liner! shocked right? then hear that hes born in october .. what? he’s so close to being a 01 liner too. like Chenle. think about it for a minute .. then realize that hes younger than the whole 00 line! (renjun, jeno, haechan and jaemin). Ten is ethnically Chinese and he speaks Mandarin. All NCT members were SM Rookies at one point, and Hendery, Yang Yang, and Xiao Jun were meant to debut with NCT since the beginning. 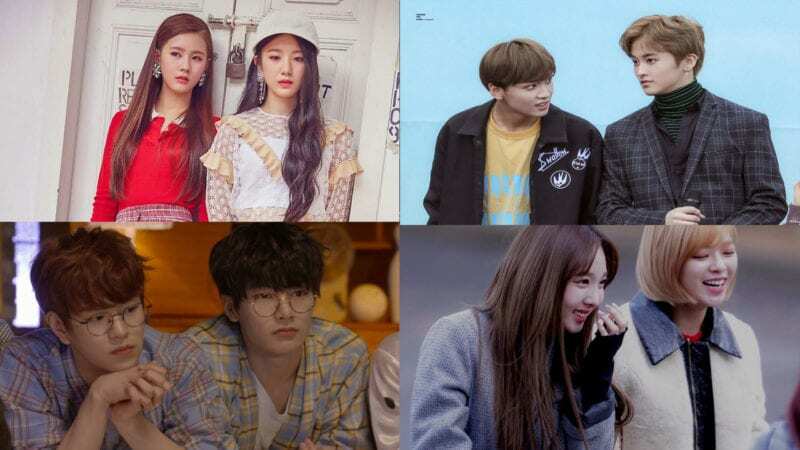 WayV will be managed by Label V for promotions in China like Lay from EXO and Victoria from f(x) are now. WayV will be managed by SM for promotions in Korea. They are ALL officially a part of NCT, and most likely will be promoting for NCT 2019 as well. China has some sort of law about how the Chinese members can’t be in 2 units, but I think that only applies to NCT Dream, since they’re minors. Also meaning that Yang Yang most likely won’t be a part of NCT Dream. Can Xiao Jun, Yang yang and Hendery speak Korean? In the future are they going to be part of any other nct units? Don’t say you want Kun to be the leader and have lines if you don’t even support him. Like look at him at the bottom of the list again. He’s a sweetheart and deserves real stans. -Lucas though he would have to debut in NCT Dream because he was the same age as Mark, so he practiced Chewing Gum. Shouldnt it be ‘thought’ instead of ‘though’ ?? the poll is literally “whos ur wayv bias” ffff its not that deep u can support him and not bias him??? Yeah, it should be thought. Xiaojun looks very different from this photo. The wayV’ visual is between Lucas or Winwin . In this photo, Xiaojun looks like Taeyong. does this mean that they only get to take part in WayV? No. They can also participate in NCT, SM confirmed it. I think so. I think NCT is becoming more organised, less a mess. What they position in WayV. ..??? well renjun is no longer a minor since he’s an 00 liner. 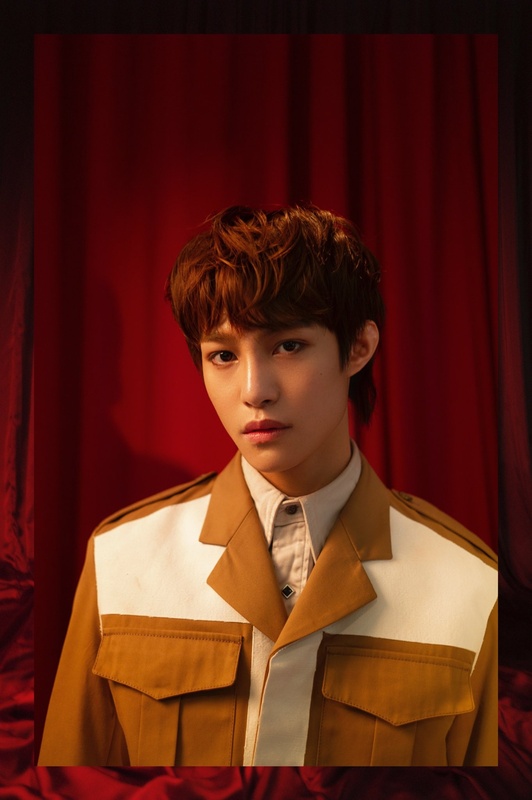 yangyang is the same age as him (hes a few months younger than renjun) couldnt he technically could have been added despite still being in dream because winwin’s in a fixed unit and wayv? i personally think it wouldve been less messier than winwin’s situation because dream isnt active rn the way 127 is? what do you mean? Winwin is a part of nct 127.
who ate my teddy bear jellies? they are going to be added once they both graduate from NCT DREAM. wait will they still go to nct 127 too? 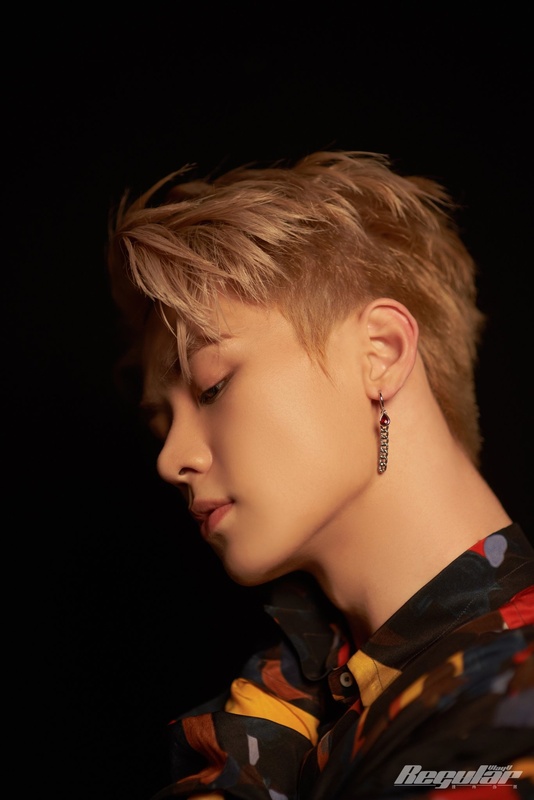 Kun is confirmed to be their leader in their recent QQ Live Stream! 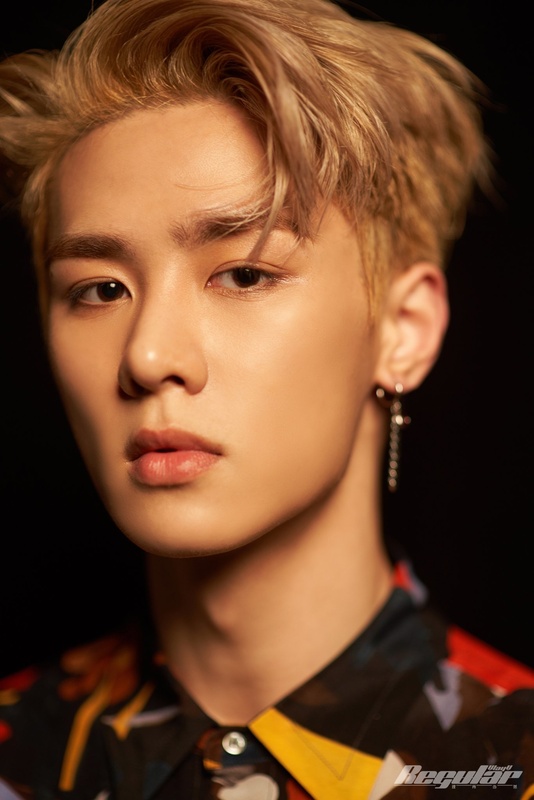 Kun-Position: Leader, Vocalist, Sub Rapper. 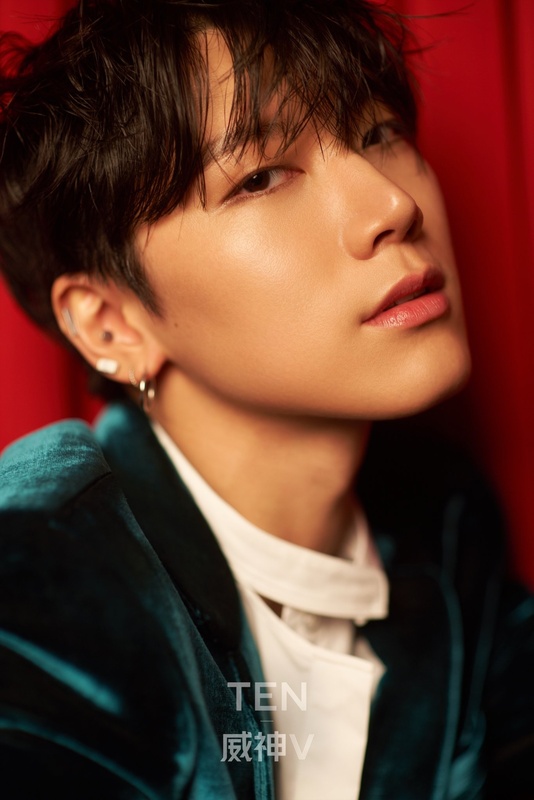 Ten-Position: Lead Rapper, Vocalist , Center, Main Dancer. 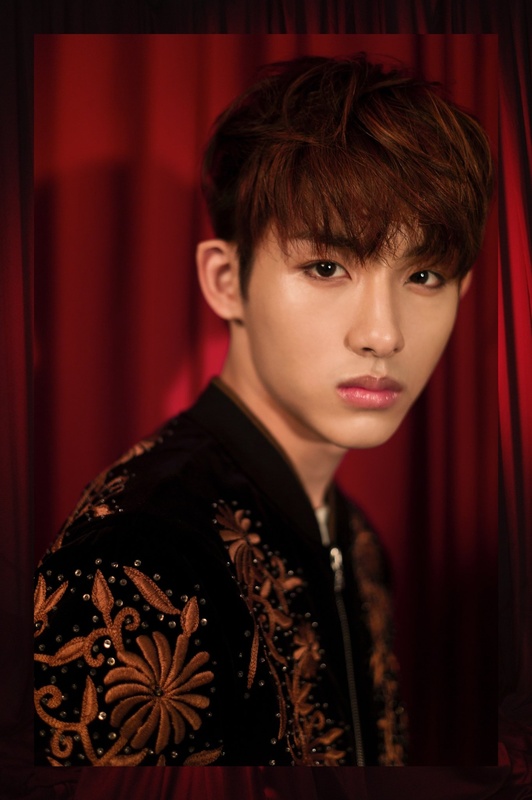 WinWin-Position: Lead Dancer, Sub Vocalist. 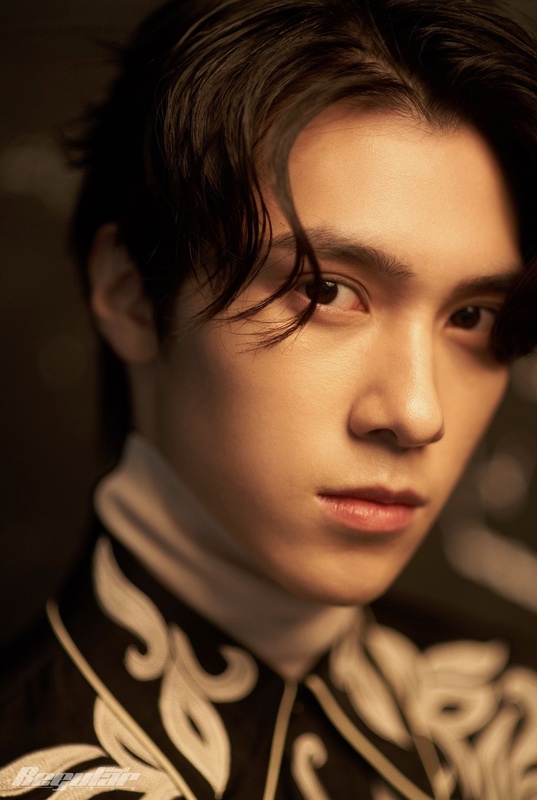 Hendery is probably the visual. Here’s their latest comeback from their Mini-Album “The Vision”, titled “理所当然 (Regular)”. 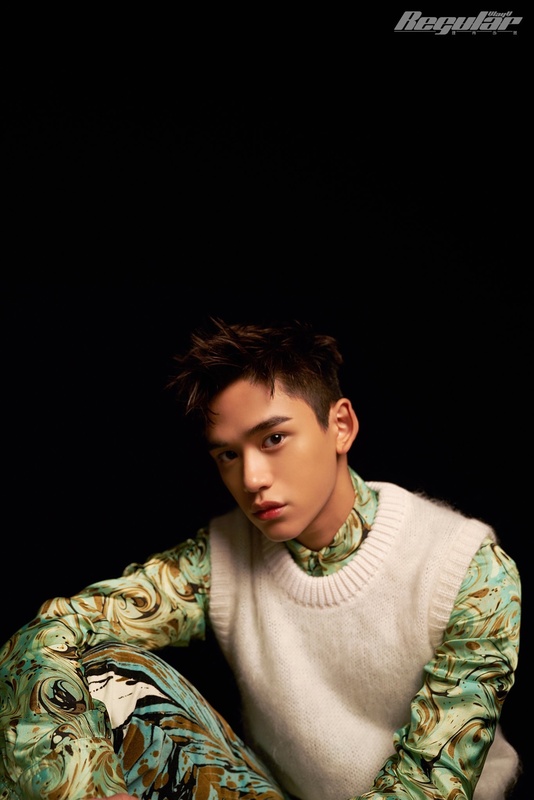 i think Lucas will be the visual and FOTG while Ten is centre. Lucas is probably the FOTG while Ten is centre and Hendery Visual. Leader is Kun and maknae Yangyang. Yes, they are part of NCT. A few days ago it was confirmed that they can promote with NCT in the future. The reason why they didn’t include the name NCT is related to the political (I think) problems between Korea and China. So they didn’t include the name NCT willing to promote WayV better in China without any direct (name/label) connection with Korea. That’s also why they’re also under Label V, a Chinese label. I would also add Lucas being FOTG & Hendery visual as well. 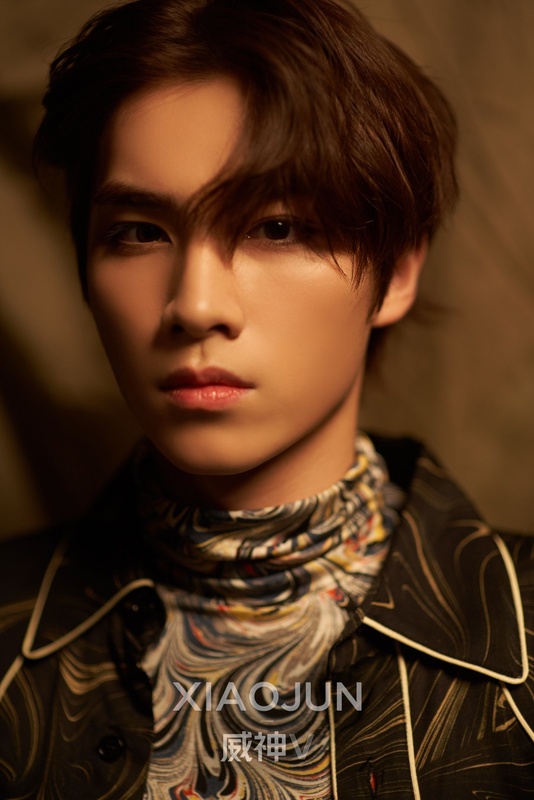 is it just me, or does Xiaojun look a lot like Rocky(Astro)?? I think either Hendery or Winwin will be the visual. And I agree with Ten being center. Idk about face of the group but I think it will be either Lucas or Xiaojun since it’s decided by their popularity. The fandom is “Weishenie”, like Seasonie! Luhan from EXO was a visual, and he’s a foreigner, so that’s most likely not the reason he’s not a visual in U. As for why he’s not the visual here, it’s really just SM’s decision. Beauty is very subjective, and while I personally think all the members are very attractive, there might be something specific about WinWin and Hendery that made SM decide they would be the WayV visuals. 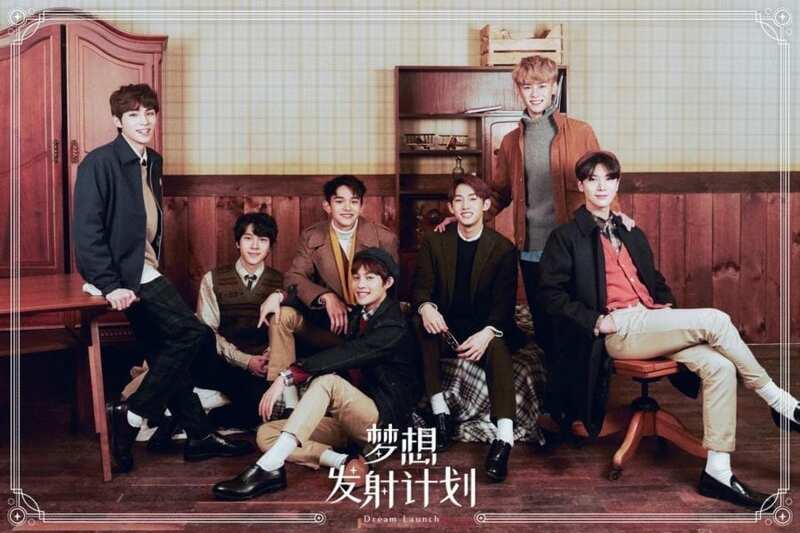 Being a model doesn’t necessarily make one member the visual, if anything I might see that more of an indicator of Face of the Group (but WayV currently doesn’t have one of those). 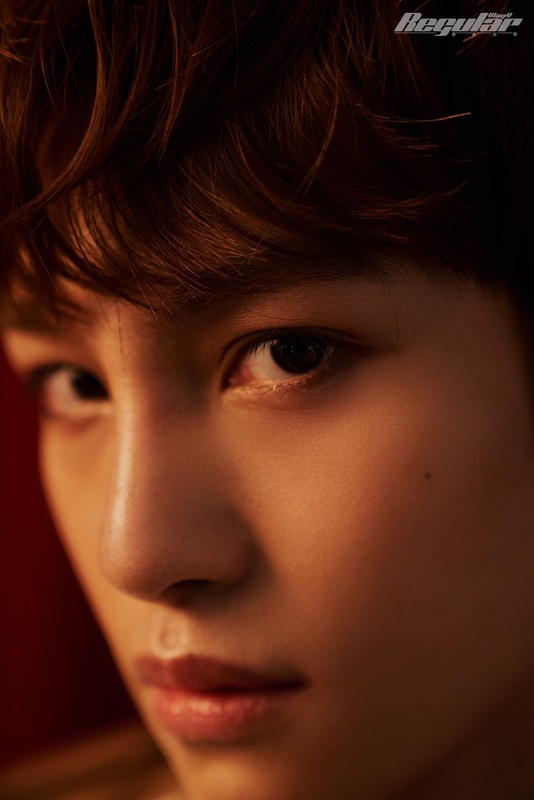 An article from C-Media said that Lucas is the Visual Center (prob that means he’s the face of the group) and is also the official center. I’ll link the source as soon as I find it. 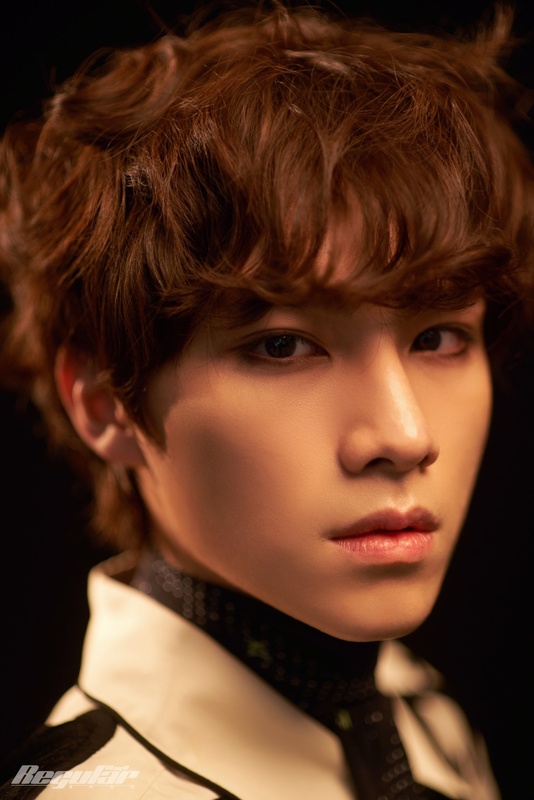 isnt xiaojun a visual too? Lucas has to be something more than a Main Rapper and Vocalist cmon. 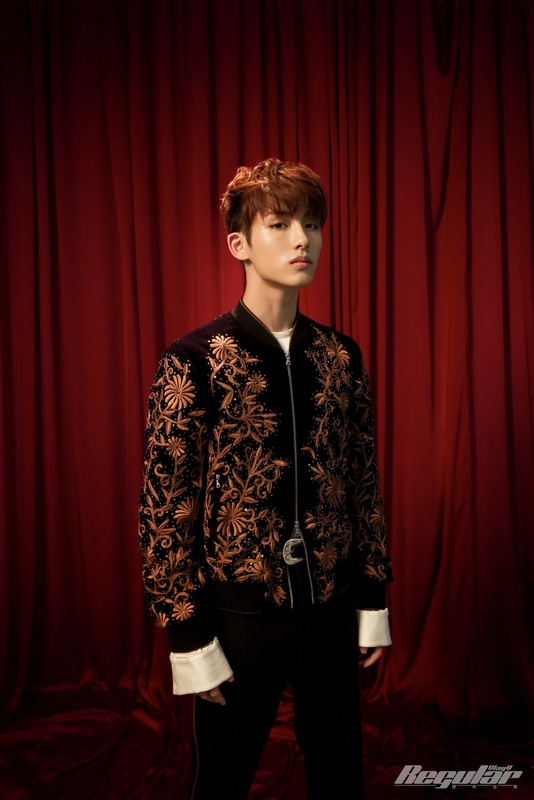 He was the centre for all their teasers, he was the first to be revealed in the Dream Launch and he also had the first line. Centre/Face Of The Group? 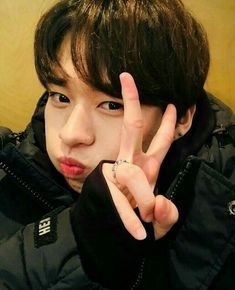 Lucas also attended many variety shows prior to debuting with WayV. And why are most of them rappers. Is this subway? Why do I feel that Lucas is center and not ten? 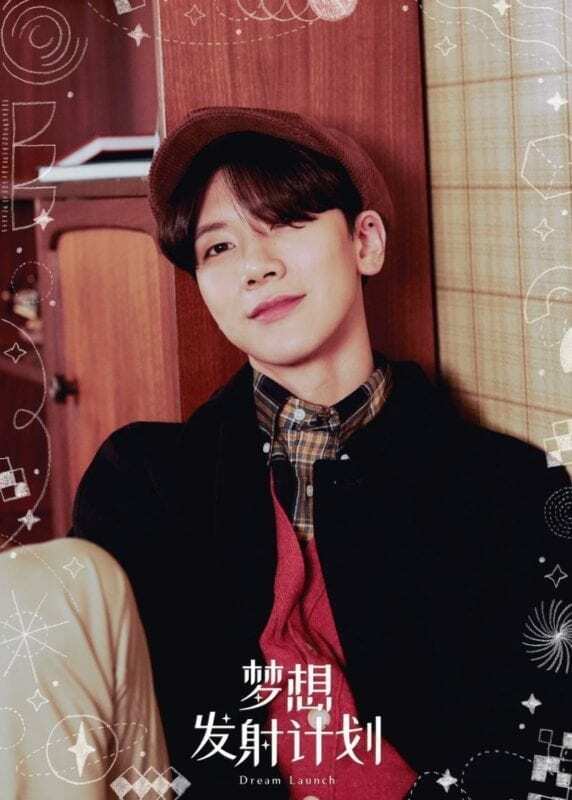 He is most likely the center and visual of the group but whoever updated this page is a bit bias of Ten. Lucas is probably the center considering the teasers and the MV itself. He starts the song/has the first verse, which is a common mark among Centers (e.g: RV Seulgi, TWICE Nayeon). I’d say that it’s still too soon to say who’s the Face of The Group. This position is decided after the group debuts, the member that gains the most popularity becomes the Face of the Group (e.g: SNSD Yoona). 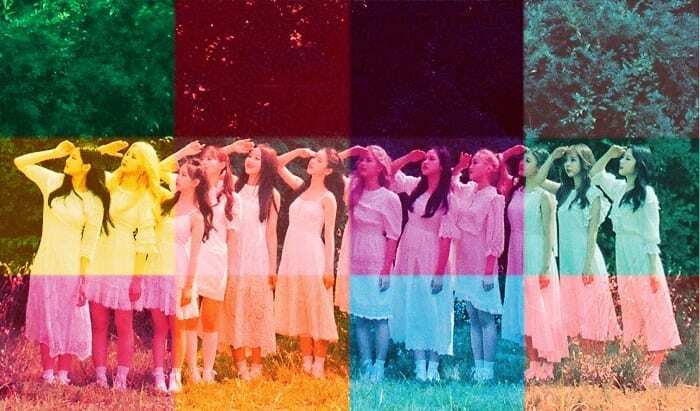 I don’t know for sure, but SM is probably going to promote a certain member for CFs and stuff like this, then we’ll know who’s the Face of the Group. 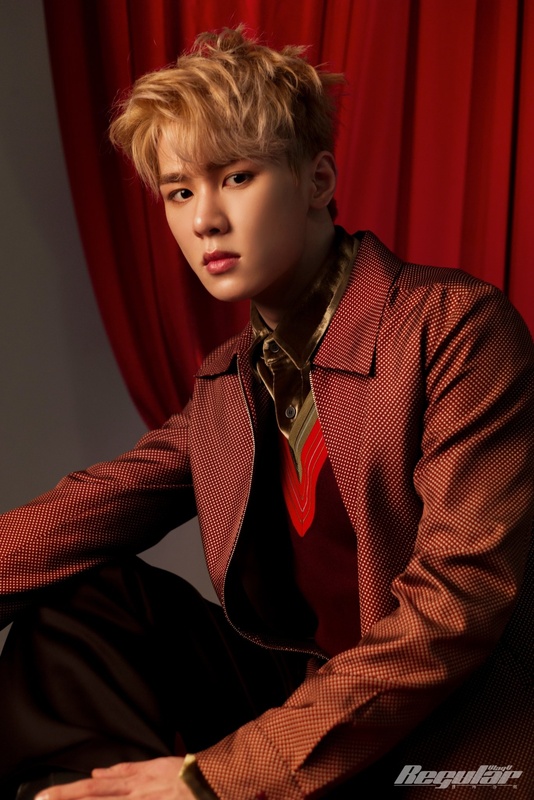 The fact is that a lot of people love Kun but have him as their second bias that’s why he doesn’t get more votes. is there no lead vocalist? all of the position were uploaded by SM themselves. so I don’t think the person is biased. Where did you saw that? Because I didn’t hear anything about SM dropping WayV profiles. Do you have the source for that tho? When you’re in a Chinese group and your specialty is Traditional Chinese Dance and you still get “Lead Dancer” as your position……. okay I couldn’t find the exact source as I read it in the comment section of the MV, but the commenter said they knew it as it was aired in some Chinese TV show and it was verified by SM. I thought Hendery was the German one? lol i’m just messing with ya, but i’d actually say that Hendery kinda looks like Rocky as well maybe???? Isn’t Ten main vocal?. 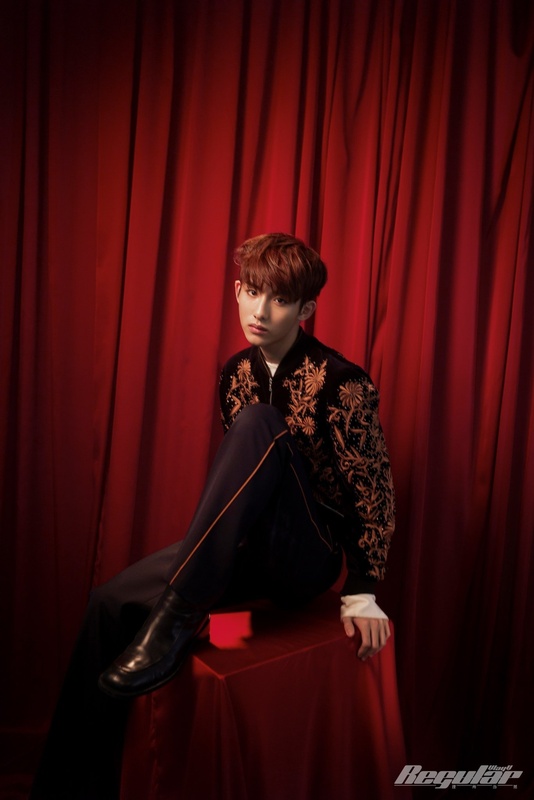 I think he lead almost all chorus and he sing high note in comeback and dream launch, isn’t he? 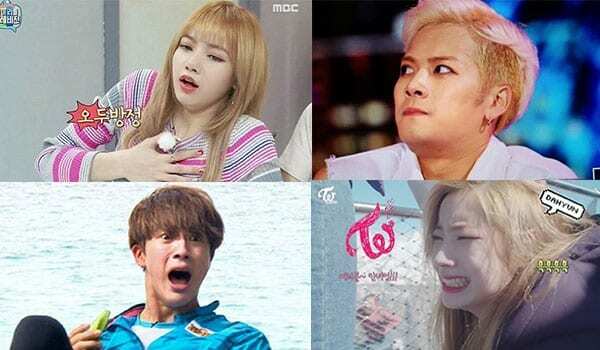 Visual is the most appealing members, center is based on position in choreo and FOTG is based on CFs, right? So, visual is Lucus, center is Ten and Winwin will be FOTG. he has the most time as the center in the choreo as well. Maybe in the MV it seemed different because of the editing but it’s undeniable he had major screen time. 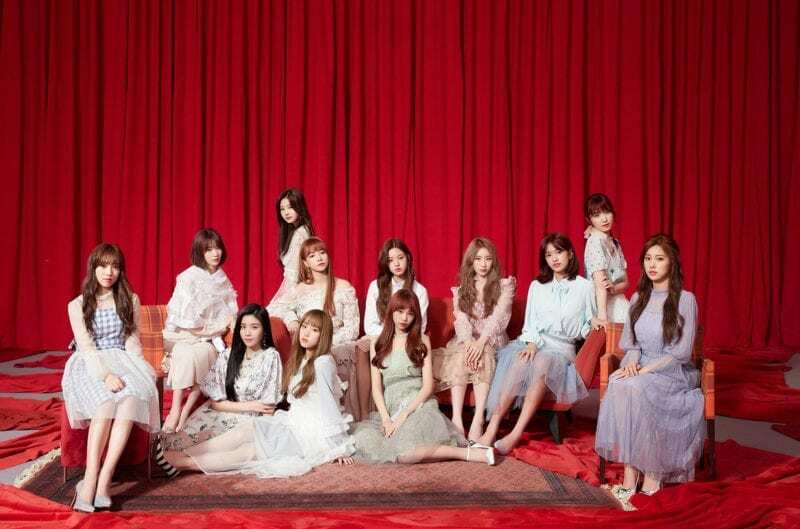 Too early to say who’s FOTG, and the center positions isn’t just about choreo. 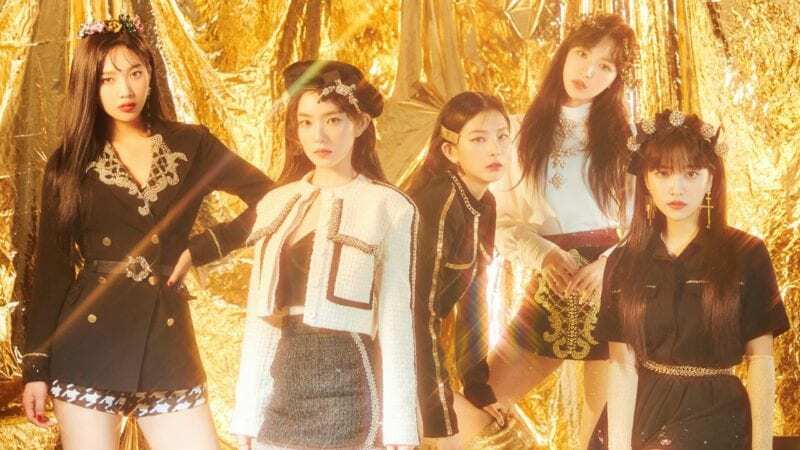 Center is the member who mostly gets the middle position in almost everything: choreo, photoshoots, variety shows, etc. But Ten lead amost all chorus in regular and sing high note in comeback & dream launch, why he just vocalist? Yes, it’s too early. It’s just my guess, but with his popularity (in china), I’m pretty sure he will. I don’t really know what different between those positions, but I read many comments in many websites about it. Most people say center is only based on choero. kun and xiaojun are definitely more of a vocal conpacom to ten. Rapper and Sub-Rapper are the same thing. By popularity I don’t mean number of fans, but the most known face/member of the group (and that can be seen only after the group debuts). It’s probably going to be the member SM/LabelV will choose to star in CFs and stuff like this. While center is the one that has a lot of center time during choreos, photoshoots, etc and USUALLY (not always) starts the song. fyi: none of these things I said are stated facts, but only a pattern that I noticed in other groups, I can totally be wrong tbh. i’d say ten is lead vocal while kun and xiaojun are main vocal, if you check come back’s line distribution ten gets a lot of singing lines. Actually it was made up that he could speak Japanese. I looked it up and didn’t see any video’s of him speaking Japanese. He could be able to speak a few words but we have no source that claims he can speak fluent. Yes I noticed he got so many singing lines!! And as I know most of em are Jaehyun’s lines in the Korean version so yes! Ten is center, ex nct manager say it. Please check this line distribution https://youtu.be/JSpTHBsXFAs , Ten is not just a vocalist! Wait, did you mean ‘typical CHINESE beauty ideal’ ? It’s Cpop group! 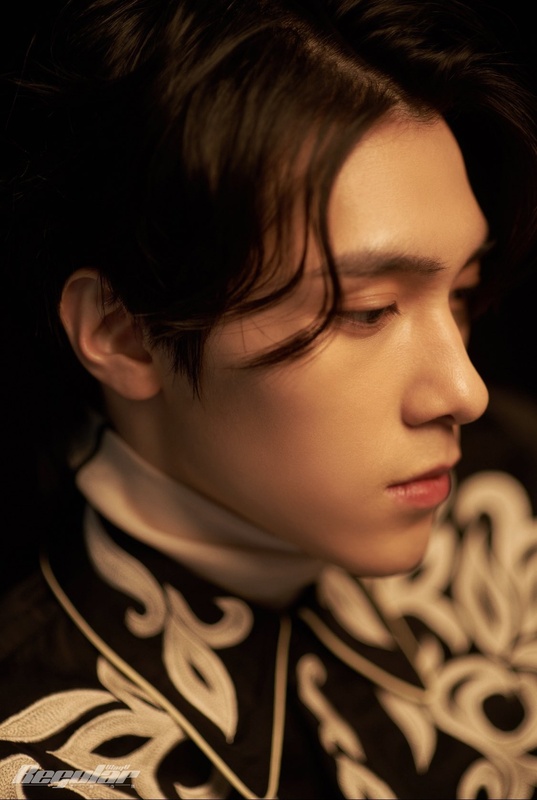 But I agree that Hendery is visual. 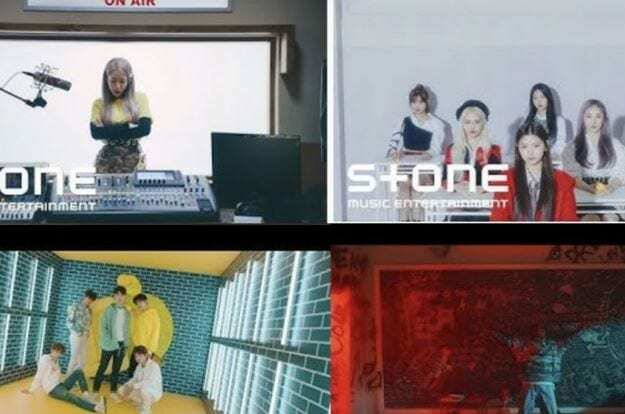 Is WayV part of NCT and SM Entertainment? 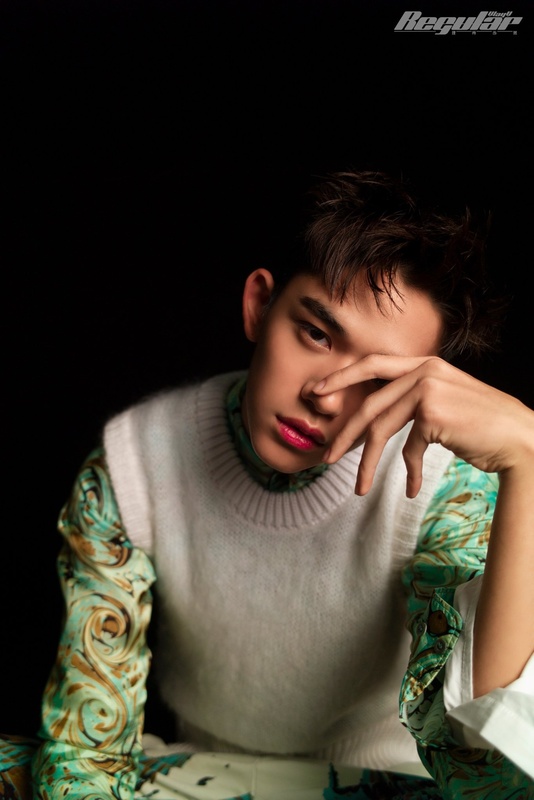 Yangyang won a dance competition in Düsseldorf when he was younger tho, and Lucas got into SM through posing and NOT dancing. That doesn’t mean Lucas is a bad dancer, in fact I think he’s great, but if you compare Yangyang, someone who’s won competitions, to Lucas, someone who didn’t even get into his company by dancing, I’d say that the dance line is correct. Kprofiles also stated that these are only possible positions, until then we should all wait for the official positions to get released instead of judging what’s been dubbed as possible and not definite. 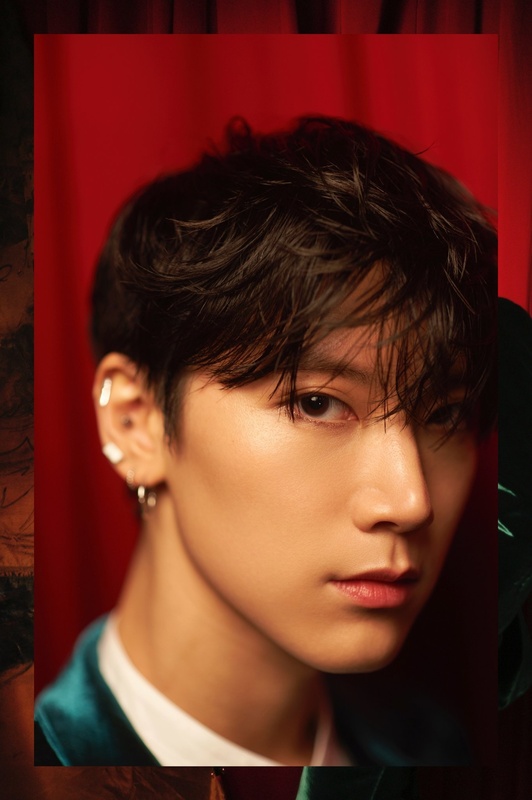 Ten is a lead vocal for sure. He doesn’t sing in regular but in the songs come back and dream lauch he has a lot of singing lines and barely rap lines if not at all. but winwin and hendery both are dance lines but barely get the screentime. so, you cant consider the dance line members is the one who get a lot of screentime. lets take boss by nct u for example, winwin is lead dancer (everyone know this), but he only get a few seconds screentime. another example is nct 127’s johnny. everyone know he’s a lead dancer since he’s one of pre debut bassbot unit. but he barely get the screentime. so, do you mean he’s not part of dance line since he’s not getting a lot of screentime??? my point is, it doesnt prove that the members who have a lot of screentime is dance line members. if its true, winwin, johnny & hendery should get a lot of screentime. yangyang won the dance competition is one of the prove that he’s a good dancer. can i say that ten is lead vocal??? 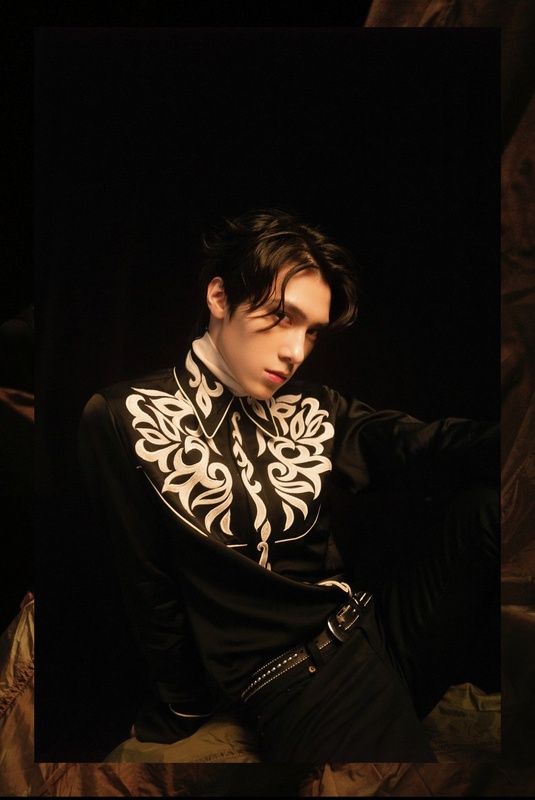 Ten main vocal and Hendery lead rap in Come Back. That is actually incorrect. The center takes center stage during most of the song(s). A “face of the group” (fotg) does all the fotoshoot and video stuff. A center basicly dances in the middle often (for example Jungkook from BTS). Ten does this a lot. He dances almost all choruses in the middle. I personally think he AND Lucas should be center. 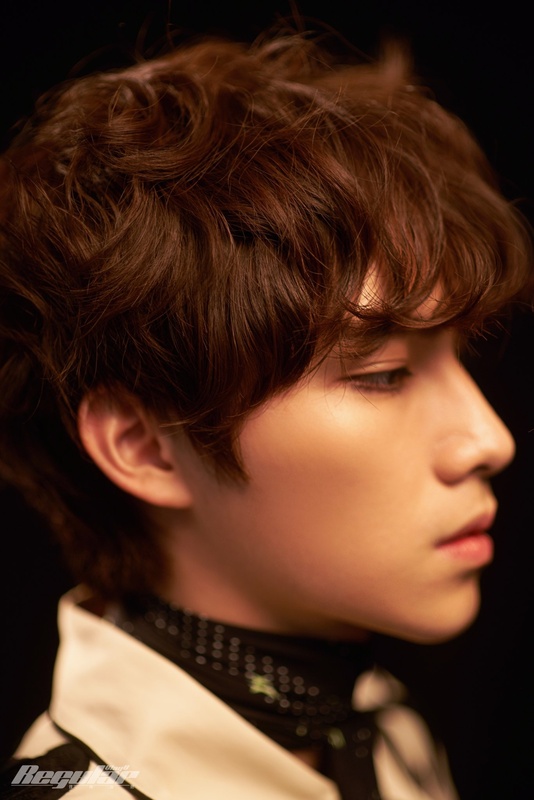 Xiaojun is definitely the main vocalist. He did most of the adlib in Come Back while Kun barely singing. In my opinion, ten is the center and Lucas is face of the group. Just my opinion! Feel free to share what you think! I think it’ll be important to state that a new clausule forbids idols that look ‘feminine’ to guest in shows in China(NRTA). Earrings and heavy make-up are also banned from broadcasts. 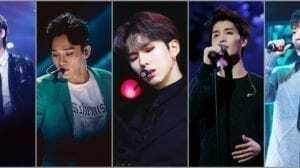 (weibo article) The Chinese citizen are asking for more masculine idols so their ‘kids and youth’ won’t be ‘bad represented’. No matter how bad I think this new policy is, there’s no denying that this can affect WayV members.(source). 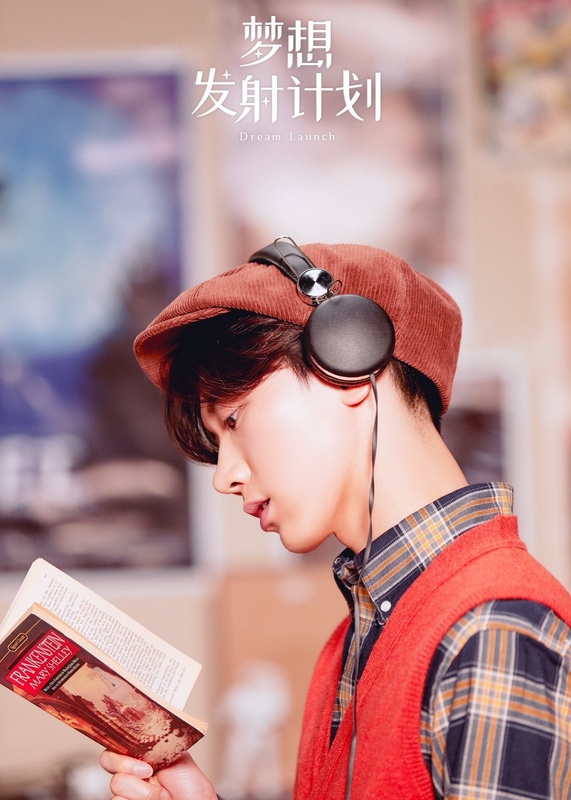 Lucas eventually becoming the FOTG will perhaps be connected to this (since many ask why WinWin isn’t the FOTG despite having the biggest fandom). Ten is center bc he is usually the one in the middle for the dance performances, chorus, begins and ends the dance. 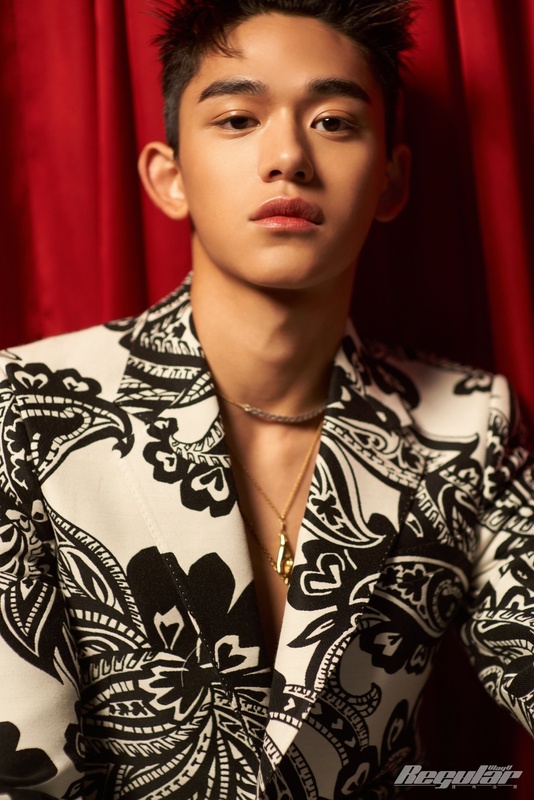 Lucas is a visual without a doubt, this would also explain why his the face of the group bc his in the middle for photo shoots, teasers and social/video management. that’s why there face of the group and xuxi is the face of the group. 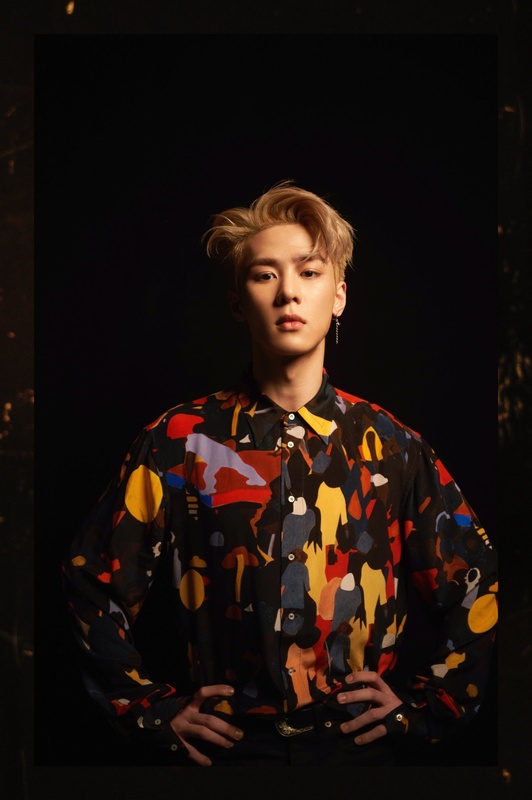 center is based on the dance performances and since ten is the main dancer and he also has a pretty decent amount of lines, he is placed in the middle. if you watch the dance practises then ten usually begins and ends it. where as face of the group is usually in the center of photoshoots, social managements, etc. center is the person in the middle of their dance performances and ten is in the middle for their chorus, starts and ends the song. fotg is lucas. On that part, they were introducing the new members. If you follow weibo, you’ll know that people were saying that Yangyang was a main vocalist, he even stated this on the live, quoting “Previously, I saw that everyone thought I was a main vocal. Despite my high pitched voice, I’m a rapper.” (source). There’s no need to clarify that Lucas is a rapper, or that Kun is a vocalist or that Ten is a dancer. That’s not plausible though, because if we went by this mentality, then Sehun would’ve been EXO center since he dances in the middle often as well, but everyone knows EXO’s center is Kai. According to Kprofile itself, a center is ” placed in the middle of the group during promotions, photoshoots, video shoots, etc.” (source). XiaoJun is a main vocal confirmed by himself and the other WayV members on their weibo live. Wow, sometimes I forget that NCT is a kpop boy band. They have so many units and members they feel like a company within itself!! SM truly is ruthless! 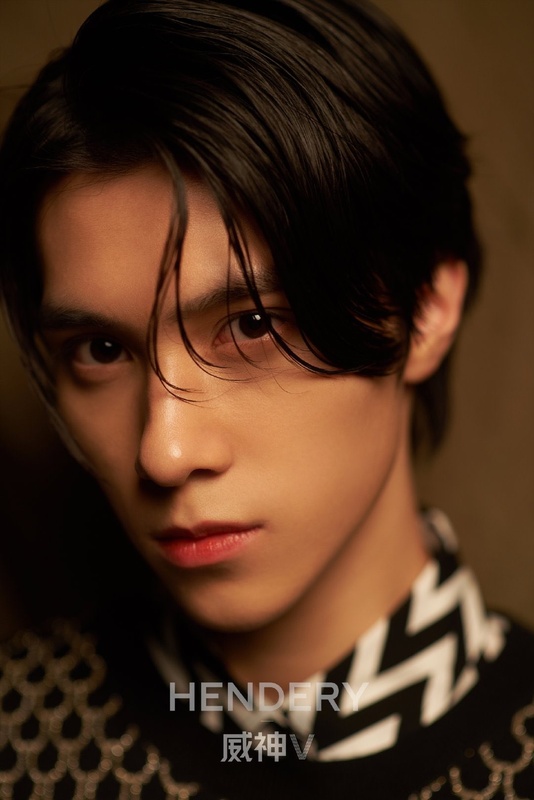 I don’t really agree with Hendery being a visual. I’ve seen a lot of buzz and praise towards mostly XiaoJun out of the rookies for visuals. Has there been any mediaplay or anything that suggest he’s a visual? In China he’s considered a visual. He was very hyped on weibo even before debut. You cannot base anything off just by saying that yang yang won a dance competition. That was a complete rumor and when people looked into it more, it is already said to be most likely false. Everyone you listed so far are no way lead dancers by sm standards. Johnny is one of the weakest dancers. He is still good but his height limits a lot of his movements. Winwin still struggles with hip hop style dancing and hendery is still improving. Sm knows who are the strong dancers and who aren’t. In the dance practices, you can see that ten, Lucas and yang yang all had a lot of parts in the center because they are strong dancers. it seems there are typos or misspellings on some members’ names (likely due to copy-paste errors), so I just want to help correct them. actually, my previous comment was on the “NCT Members Profile” http://disq.us/p/1ys5sfp but I found out that it’s been updated here. thank you in advance. ※ if you look closely, you can find the difference in the first Chinese character between the SC and TC. i never say ten, lucas & yangyang are not the good dancers. i was replying to someone else. she said the dance line members were determined based on the screentime they get which is not true at all. winwin, hendery & johnny are lead dancers. but i never say they are the good dancers. but they are lead dancers for sure, the dance line members. you said johnny’s height limits his movement. but thats what i see on lucas. he’s height & his long hands make his movement looks force (idk how to explain this, sorry for that). im sorry to say this. but thats what i see on him. he’s a good dancer, but yeah it still look awkward to me. idk about yangyang, i just wrote from what i read about him. but still he’s such a good dancer. so, he can be part of dance line too. let say that it is an evidence (videos, photos etc) that saying he really won the dance competition, its like a “TOP UP” to him as a dance line member. but the thing here is she (that girl) said, “dance line is not made by competitions winners but the ones sm picks as the good dancers” and she said “the composition of the dance line based by the screen time of the members” which is NOT TRUEEEEEE. and im totally DISAGREE with her point. My “MAIN POINT” here is the dance line members ARE NOT determined based on the screentime they get. the members who get a lot screentime is not a “PROVE” they are the dance line members. Thats my MAIN POINT!!!! i’m a multifandom. there are a lot of another groups when their main dancers dont get a lot of screentime (sometimes never get any solo screentime). but the popular members who is not even in the dance line members always get the screentime & center time. do you think this is fair to say the dance line members are determined based on the screentime they get?????? In my opinion all of them are equally handsome. Like we have said, these are only possible positions. This is a visual Group that’s why fans call them Way-Visuals! XiaoJun is the main vocalist confirmed by them during weibo live! Yangyang is actually taller than hendery. Ten can’t speak Japanese. In there “Cup of Coffee pt.2” it was all a role-play and Ten said he could speak Japanese but they all laughed and he got flustered because he actually didn’t know Japanese. (Credits to just another jhoe) On Youtube there isn’t anything on Ten actually speaking Japanese. I think Yangyang is a German citizen, since he came to Germany at an young age and lived there for a long time. I dont know if he applied for an German citizenship or not, since he probably came to Korea before turning 18. But he also recently visited Germany to possibly apply or renew his passport. 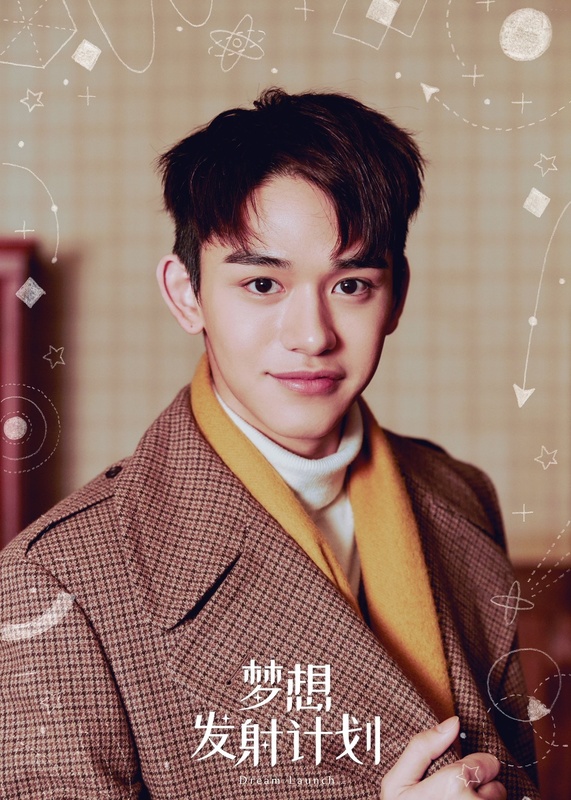 Good to add that Lucas is confirmed as a new member of the fixed cast of Running Man China. Confirmed on RM Weibo account. Could you also add that we Germans call YangYang “Ehrenmann”? 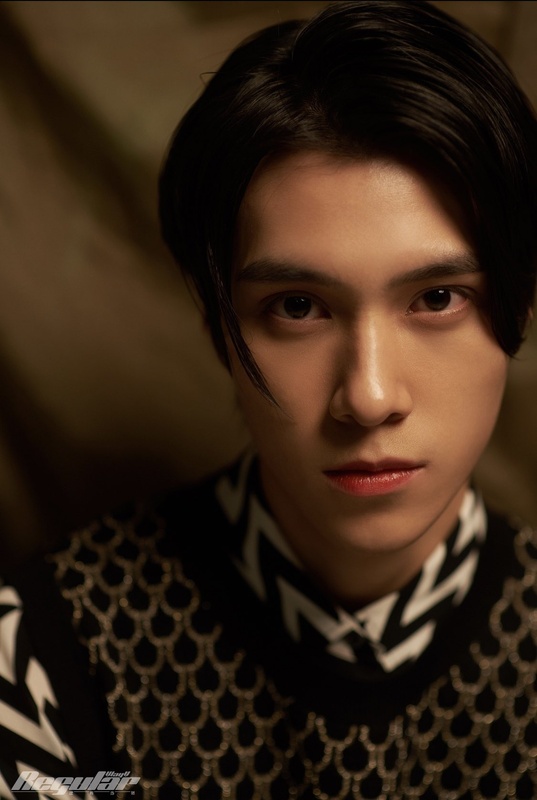 Hendery used to study acting. One of the reasons why he studied acting was because he wanted to become a comedian. Hendery liked the color pink. Everytime Hendery practice, he drinks banana milk when he gets home. Hendery likes spicy food but can’t eat it. Hendery also hates frogs. He can’t look at them. He thinks they are scary. All of this comes from their official youtube channel. – Xiaojun and YangYang share a room, they sleep in a bunk bed. 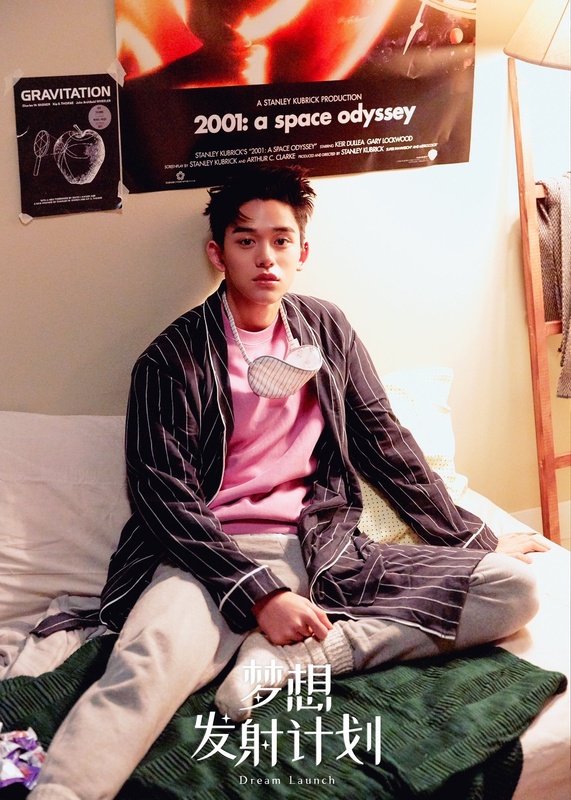 Xiaojun sleeps in the top bunk. – Xiaojun loves to play games. He and YangYang always play games together. 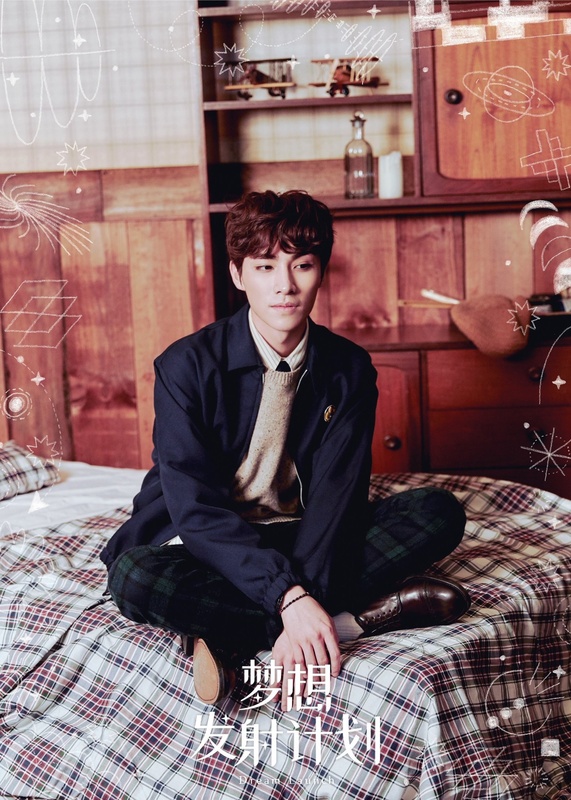 – Xiaojun always talks about health but eats a lot of snacks, he says he has a lot of heat in his body and gets fevers often because of it, so he eats snacks to bring down the fever. 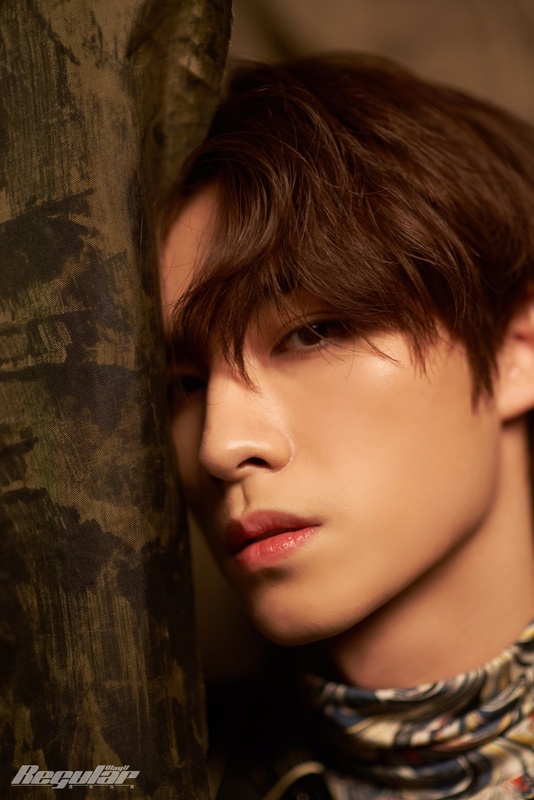 – Yangyang thought Xiaojun resembled Logan (X-men) when he first met him. – Yangyang says Xiaojun has a high EQ, because no matter what prank he plays on him Xiaojun doesn’t get mad. – Yangyang says Xiaojun is a very optimistic person, and is full of positive energy. – Xiaojun really likes green tea. 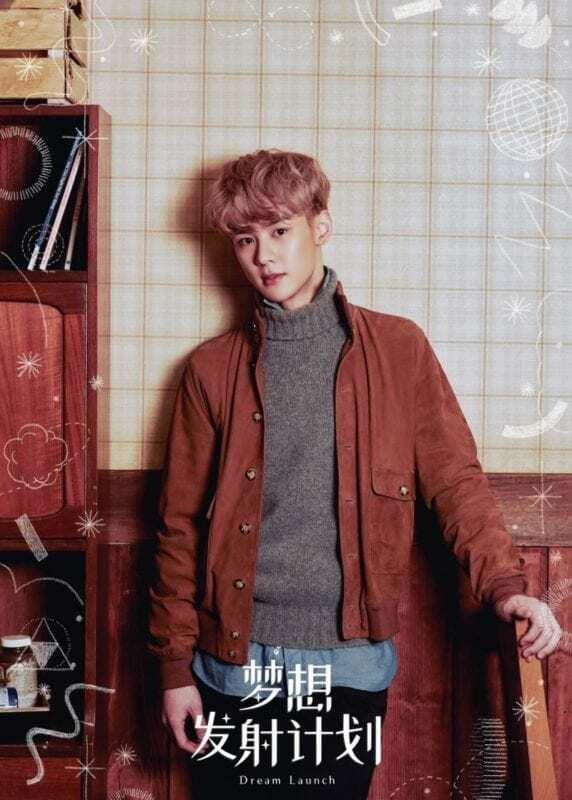 His favorite foods are all green tea flavored, like green tea ice cream, green tea latte and green tea cake. – Xiaojun likes strong flavors, he can eat any food with Lao Gan Ma (Chinese chili sauce). 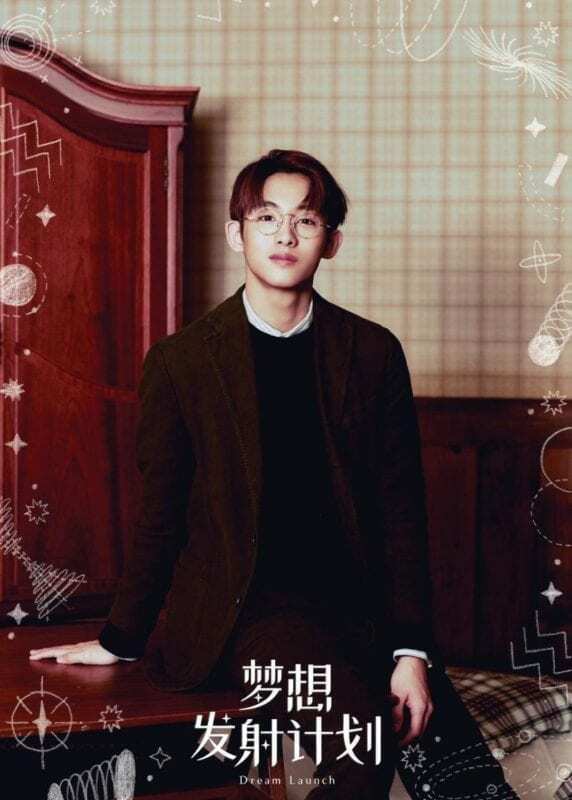 From WayV Research about Yangyang, he speaks 5 languages: Chinese, German, English, Korean, and a bit of Spanish. He jokes and spends money a lot. 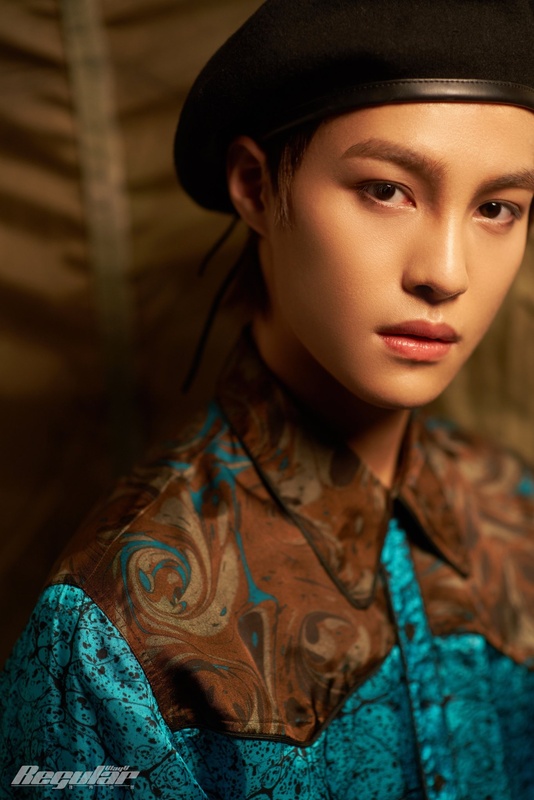 – YangYang can speak 5 languages. He speaks German, Chinese, English and Korean fluently, and a little bit of Spanish. – YangYang is quite shy when you first meet him, but after that he becomes talkative. 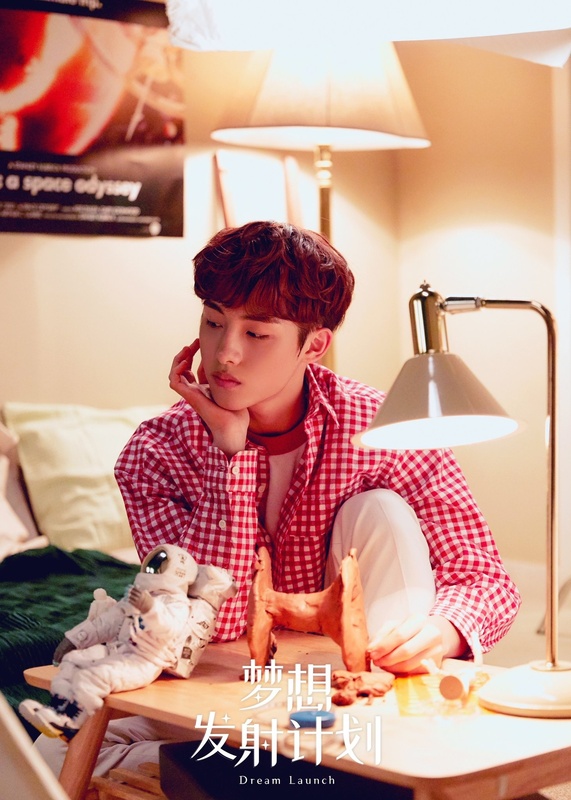 – YangYang spends a lot of money, and likes collecting shoes. – WinWin’s impression of Yangyang used to be well-behaved and quiet, but as he got to know him better he realized YangYang is actually really active and is full of passion. – WinWin thinks that even though YangYang is the youngest member, he might be the smartest and the most random. 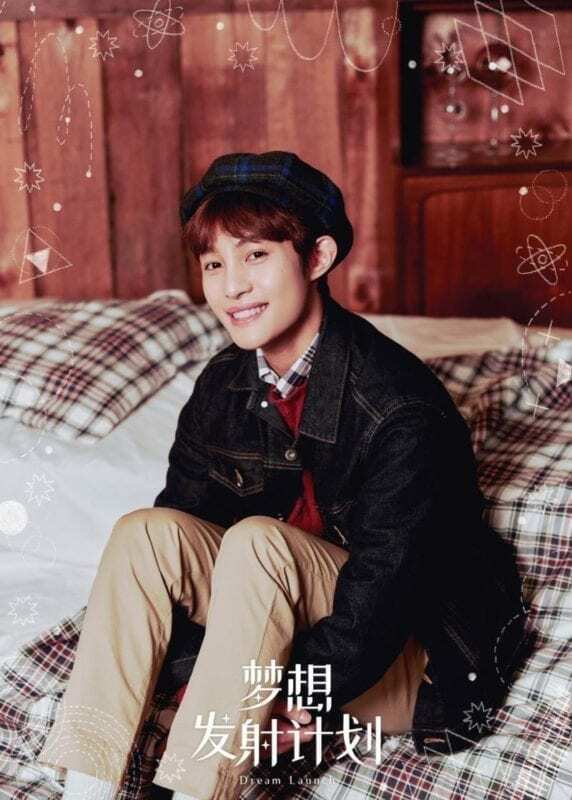 – YangYang jokes a lot with the members, WinWin said that he looks like an angel from the outside but is actually a little devil. On Hendery’s Profile, where it says he is afraid of frogs, it should be “and thinks they’re scary”, just a heads up! 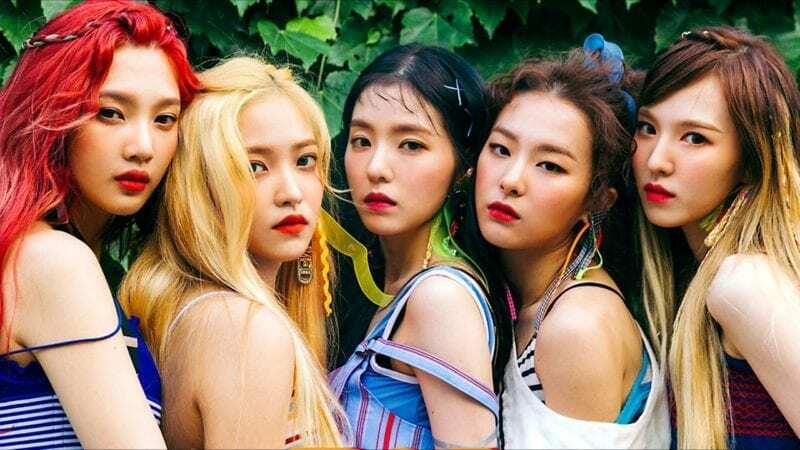 Hendery is a god at photoshop! Have you nit seen the recent post?! HK, Macau and Taiwan are part of China, yes. but they are special administrative regions so they all have completely different passports anyways. plus what Alina was trying to say is that even though yes you need to go through immigration so matter which country you go, but when passing through immigration in China, there are many different lanes, foreign, nationals, and a special line just for HK, Taiwan, Macau nationals. 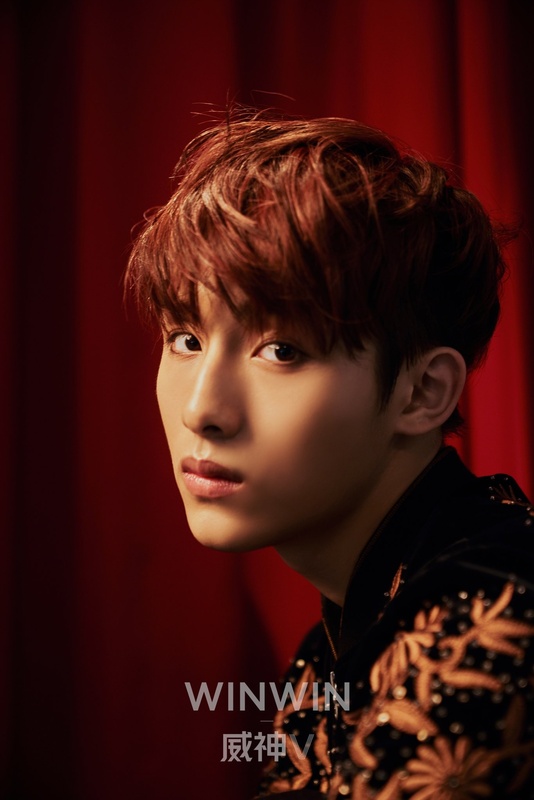 Also, even though YangYang was not born in Germany, he could still be considered German as long as he has German citizenship. I think what you’re kind of mixing up is nationality vs. ethnicity. 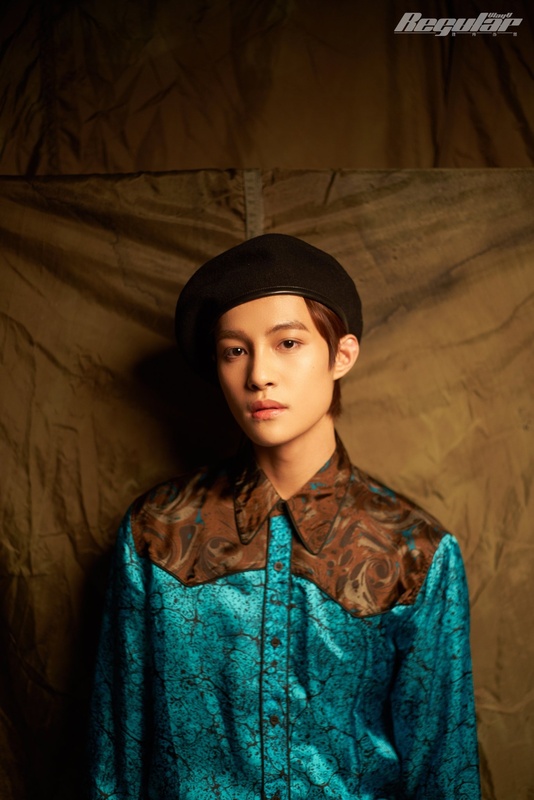 So like yeah YangYang is ethnically Chinese, but nationality is Taiwanese, and German (if he has citizenship). According to SM, Winwin is the Lead Vocalist!! Well then we can only wait to see if he ever confirms it then. Also even if he no longer lives in Germany as long as he still holds the passport he’s still considered a citizen. About Ten, He is not Chinese. He is Thai. His great great grandparents (his dad’s side) are Chinese. A lot of Thai family are like that. So he is Thai. Please fix this. Thank you. i’m hearing that apperently wayv hasn’t officially debutedd yet?? and that the vision/regular/dream launch was just a pre-debut??? I wanna ask..is this group formed only of Chinese members?? And they also did covers??? All members are Chinese by ethnicity. Ten is from Thailand though. He and Lucas aren’t as fluent as the other members but they’re working on it. Untill now, they didn’t put out any covers except from Kun I think. 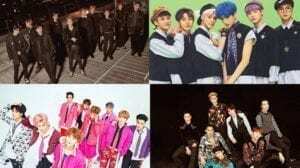 However, some members have also had some other songs with other NCT units. 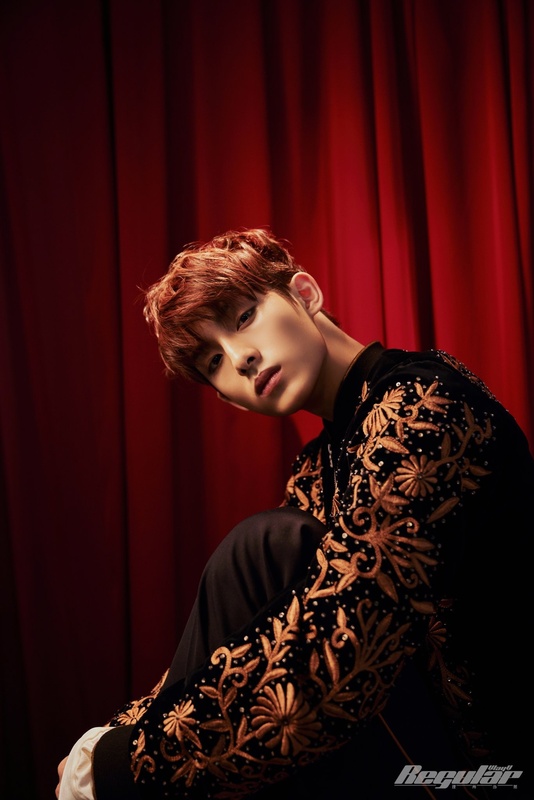 Winwin is a member of NCT 127 (although he didn’t participate in their Japanese comeback of which the mv came out a couple of hours ago. Ten was in 2 NCT U songs (Baby Don’t Stop and The 7th Sense) and has 2 solo songs (Dream In A Dream and New Heroes). 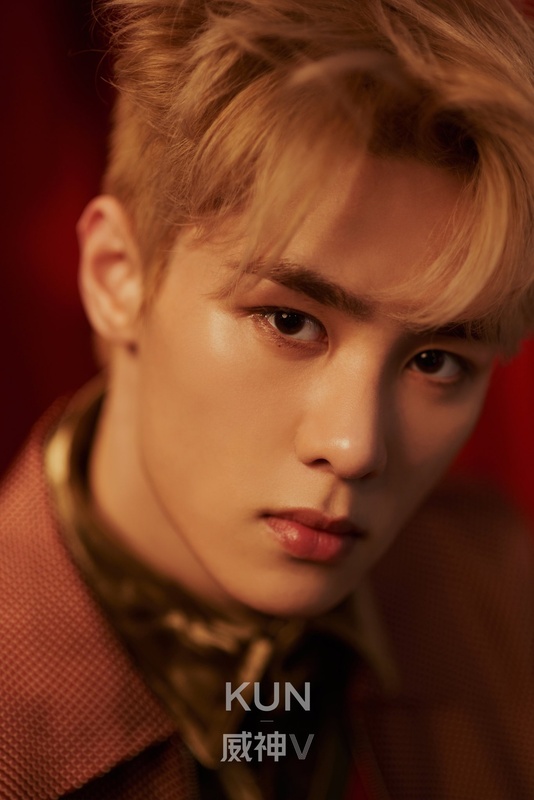 Kun was in the Chinese version of Without U by NCT U and Lucas has been in a couple of NCT U songs (Boss and Yestoday) and had a rap in NCT 2018’s Black On Black. Edit: Xiaojun was on a Chinese survival show called X-Fire. I’ll put a link to his performance. Officially, Lucas is center, Ten just gets more center because he is the main dancer (probably). Even before their debut, it could be seen that Lucas is center. When you go to their YouTube, the picture has Lucas as center. thats why his profile said he was born in thailand, but have chinese ethnicity. they never said he is chinese. Does he have any sibling? 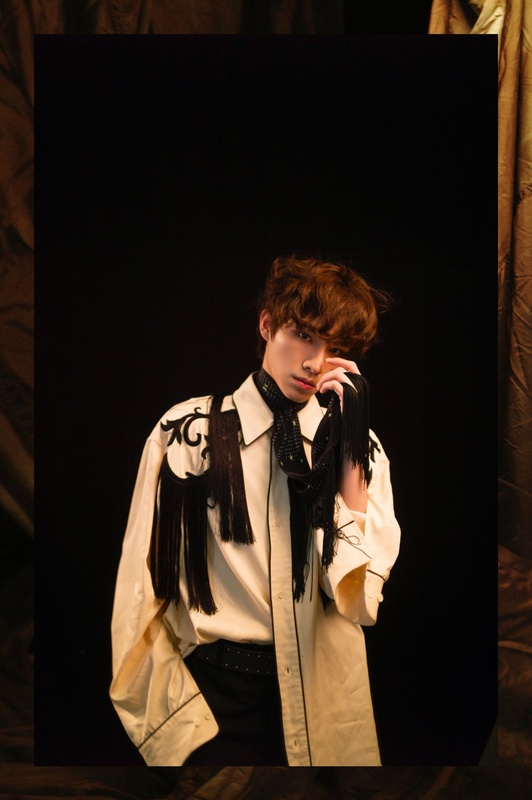 -YangYang follows a lot of fashion websites and his favourite designers nowadays are Virgil Abroh, Demna Gvasalia, and Jenny Lorenzo. 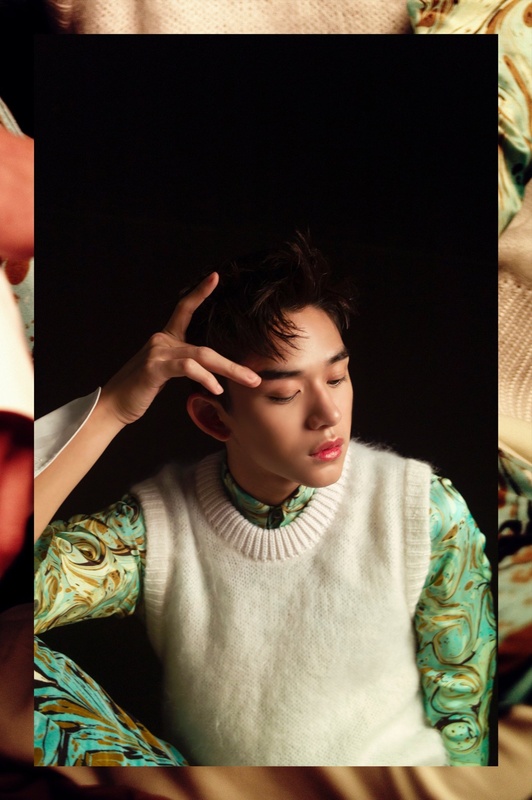 -YangYang follows a lot of fashion websites and his favourite designers nowadays are Virgil Abroh, Demna Gvasalia, and Jerry Lorenzo. No Lucas is face of the group, that’s why his in middle for photo shoots and goes on variety shows to represent the group (Chinese Running Man). Ten is center bc in most of the chreos, his in the middle for beginning, middle and end. He sings, daces well and raps so his bound to have a lot of lines so he would have to go in center most times. Lucas has a lot of center parts in the chereography too.. Actually even more than Ten. Ten was only center towards the end. I think maybe it’s like Mark and Taeyong in Nct. YangYang was born in Dusseldorf, Germany not in Taiwan. I’m just asking, no intention to be hateful. Did he say this in an interview? Because I really doubt you know everyone in Germany….